Beer Tourism is committed to protecting your privacy and developing technology that gives you the most powerful and safe online experience. This Statement of Privacy applies to the Beer Tourism Web site and governs data collection and usage. By using the Beer Tourism website, you consent to the data practices described in this statement. Beer Tourism collects and uses your personal information to operate the Beer Tourism Web site and deliver the services you have requested. Beer Tourism also uses your personally identifiable information to inform you of other products or services available from Beer Tourism and its affiliates. (a) conform to the edicts of the law or comply with legal process served on Beer Tourism or the site. (b) protect and defend the rights or property of Beer Tourism. 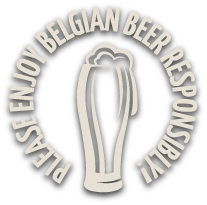 (c) act under exigent circumstances to protect the personal safety of users of www.beertourism.com, or the public. Beer Tourism keeps track of the pages our users visit within www.beertourism.com, in order to determine what Beer Tourism services are the most popular. To share with our third party marketing partners so they may send you offers which you may find of interest. The email address you provide to subscribe to a newsletter, receive information or enter to win a prize may be used to send you information and updates, relevant content and advertisements. There is also information about your computer hardware and software that is automatically collected by www.beertourism.com. This information can include: your IP address, browser type, access times and referring Web site addresses. This information is used by Beer Tourism for the operation of the service, to maintain quality of the service, and to provide general statistics regarding use of the Beer Tourism Web site. These cookies may be used to collect anonymised visitor activity information, manage user log-ins, personal preferences, and provide you with relevant information or focused advertisements. 'Strictly Necessary' cookies let you move around the Web site and use essential features. Without these cookies, services you have asked for cannot be provided. Identify you as being logged in to our Web site. Make sure you connect to the right service on our Web site when we make any changes to the way the Web site works. To route users to specific applications of a service. 'Performance' cookies collect information about how you use our Web site e.g. which pages you visit, and if you experience any errors. These cookies do not collect any information that could identify you and is only used to help us improve how our Web site works, understand what interests our users and measure how effective our advertising is. Web Analytics: Provide statistics on how our Web site is used. Testing Designs: Test different designs of our Web site. Remember if we've already asked you if you want to enter a competition or sign up to our newsletter. Show you when you're logged in to the Web site. 'Targeting' cookies are linked to services provided by third parties, such as 'Like' buttons and 'Share' buttons. The third party provides these services in return for recognising that you have visited our Web site. Google's use of the DART cookie enables it to serve ads based on your visit to www.beertourism.com and other sites on the Internet. If you would like to unsubscribe from our services, please send email to info@beertourism.com..
Beer Tourism will occasionally update this Statement of Privacy to reflect company and customer feedback and the law. Beer Tourism encourages you to periodically review this Statement to be informed of how Beer Tourism is protecting your information. Beer Tourism welcomes your comments regarding this Statement of Privacy. If you believe that Beer Tourism has not adhered to this Statement, please contact Beer Tourism at info@beertourism.com.